If you are one of those who deals with lots of contents every day, then it’s better to have a third party clipboard manager app. Now if you search for clipboard manager for Windows on the internet, you will find tons of them. 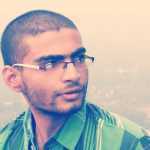 So, to solve all these issues, we are going to share some of the best free clipboard managers that you can use on your Windows computer. If you ask us about the most used function on every Windows computer, without any hesitation we would say its copy/paste. In fact, we copy and paste text, images, and other content almost daily. Well, for Copying and pasting, Windows offers a default clipboard, and it does a pretty great job. However, the default clipboard manager is nowhere close to the third party clipboard manager apps available on the internet. Well, don’t get me wrong here. On a basic level, Windows’s default clipboard is fine, but it’s not adequate for users who deal with lots of content. For example, you can’t go beyond storing one piece of data. So, if you are one of those who deals with lots of contents every day, then it’s better to have a third party clipboard manager app. Now if you search for clipboard manager for Windows on the internet, you will find tons of them. Sometimes, having lots of choices confuse users and they end up installing the wrong application. So, to solve all these issues, we are going to share some of the best free clipboard managers that you can use on your Windows computer. So, let’s have a look at some of the best clipboard managers for Windows 10. 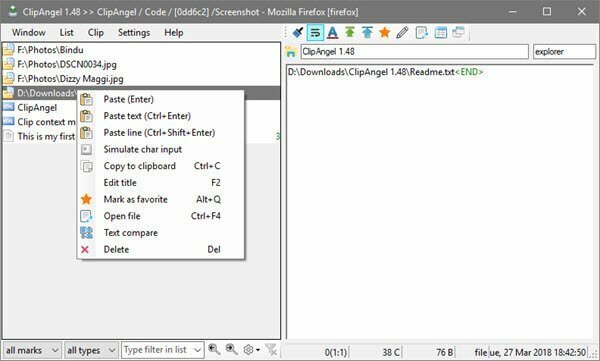 Clip Angel is one of the best free Clipboard managers that you will love to have on your Windows computer. The best thing about Clip Angel is that it literally stores everything that you copy including the files and folders. Not just that, but it also assigns icons for every file type that you copy. For instance, it shows a Picture icon behind image files, text icon behind every text files, etc. 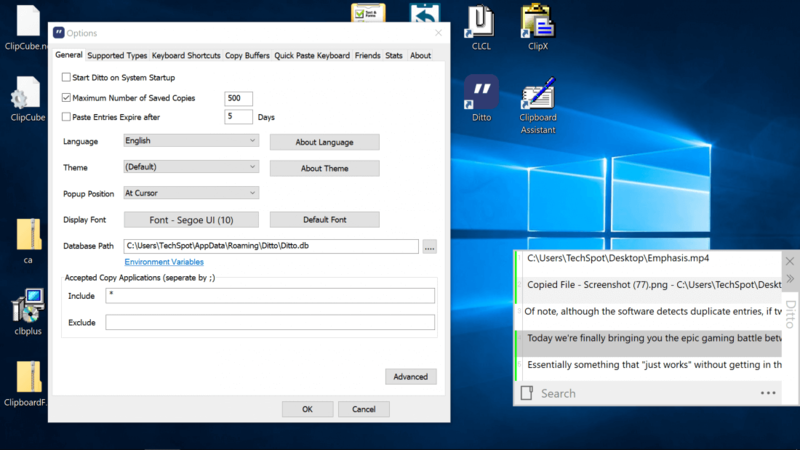 Ditto is another best Clipboard manager for Windows that you can use today. Whenever you hit CTRL + C, the tool automatically stores in the program. The best thing about Ditto is that it has support for many different file types including PDF, PPT, Video files, etc. So, Ditto is another best clipboard manager that you will love to have for sure. Well, ClipCube is mostly used by programmers and developers. This is a text-based clipboard manager which is known for its tag entries. It automatically stores everything that you copy under the Clipboard section. Apart from that, ClipCube is also known for its text scrubbing feature that is extremely useful while copying text from one app to other as it removes formatting and HTML tags. 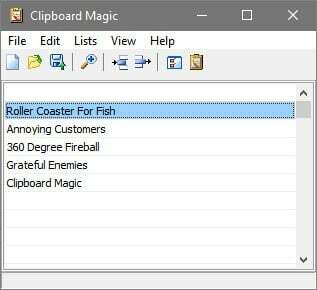 Well, if you are looking for a powerful clipboard manager for Windows 10 that offers lots of exciting features, then ClipMate might be the perfect pick for you. The great thing about ClipMate is that whenever you delete anything from ClipMate, it moves the deleted files to the Trash Can rather than removing it permanently. This feature becomes handy when you accidentally delete any saved file. So, ClipMate is another best clip manager for Windows that you can use today. If you are looking for a lightweight clipboard manager for your Windows 10 computer, then Clipboard Magic might be the perfect pick for you. The app is speedy and it has almost every features that a clipboard manager needs. 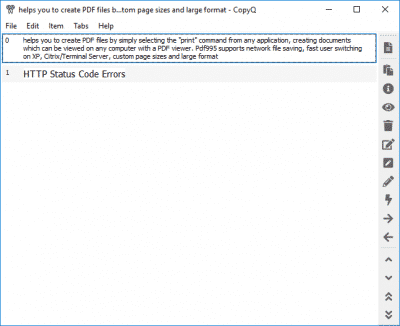 However, the clipboard manager for Windows only copies the text files, and it has no support for formatted text, video formats, image formats, etc. So, its a basic clipboard manager app that works great if you deal with lots of text files every day. Save.me is one of the most used and powerful clipboard manager apps that you can use on your Windows computer. The best thing about Save.me is that it lists everything like from where the copied item came from, when it came, what’s the file size, etc. So, if you are looking for a clipboard manager apps for Windows 10 that can provide you complete detail of every copied item, then Save.me might be the best pick for you. If you are looking for an easy to use clipboard manager app that focuses only on the text files, then the Echo might be the best choice for you. Echo is exceptionally lightweight, and it needs less than 6 MB to install on your computer. The tool typically saves every text that you copy regardless of what apps you have used. It also shows the time when you have copied the text. Well, its a premium clipboard manager available for Windows operating system. However, you can avail the 30-day free trial period. The best thing about Clipboard Fusion is that it records basically everything that you have copied. With the pro version, the tool also gets support to sync between devices. That means you can access the copied items from other devices as well. So, Clipboard Fusion is another best Clipboard manager that you can use today. CopyQ Clipboard Manager is yet another best free Clipboard managers for Windows 10 which you can use right now. The best thing about CopyQ Clipboard Manager is that it allows users to copy-paste things like access codes or some repeated references in a document. Not just that, but CopyQ Clipboard Manager can also copy and paste images with CopyQ Clipboard Manager. 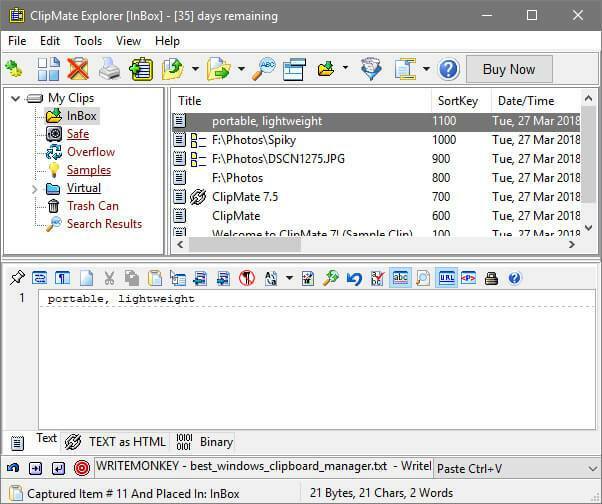 PhraseExpress is a multi-purpose Windows tool which offers auto text, auto-complete, text expander, spell checker, Program Launcher & clipboard manager. The great thing about PhraseExpress is that it’s free to use the clipboard manager stores everything that you copy including images, files & folders. So, these are the eight best Clipboard Managers for Windows 10 that you can try today. If you think that the list misses any important app, then make sure to list it down in the comment box below.